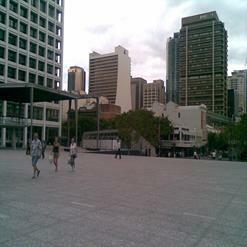 South Bank Parklands, located on southern bank of Brisbane River, was opened to public in 1992. The parklands feature grassed areas, rainforest, plazas, riverfront promenade, Streets Beach, fountains, restaurants and shops. This beautiful public place welcomes thousands of tourists and locals, friends and families.